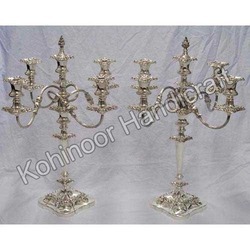 We are a leading Manufacturer of designer candle holders and silver plated candle stand from Moradabad, India. 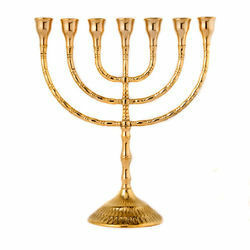 Owing to our thorough industry experience, we are able to offer our clients a wide range of Designer Candle Holders. The offered range are widely used for holding candles as well as a showpiece in order to enhance the decor of the interiors. Our range of products has the provision to hold more than a single candle that is used to lighten up and look artistic and aesthetic in every kind of settings. 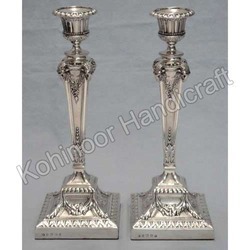 Our esteemed clients can avail an exclusive rang of Silver Plated Candle Stand from us. These products are manufactured using quality tested raw material, which we source from the certified vendors of the industry. Besides, we also possess an ability of efficiently understanding and meeting the demands of our clients, by providing them desired range. Clients can avail these products as per their need. We feel immense pleasure in bringing forth a wide range of Silver Plated Candle Stand. These products are designed by our creative designers by making use of advanced technology and superior quality material. Our products are also available by us in numerous sizes and specifications in order to suit the requirements and preferences of the customers.